October might be the month of Halloween & spooky masks, but at Sorbet Drybar, we’re thinking more the luxurious pamper masks! 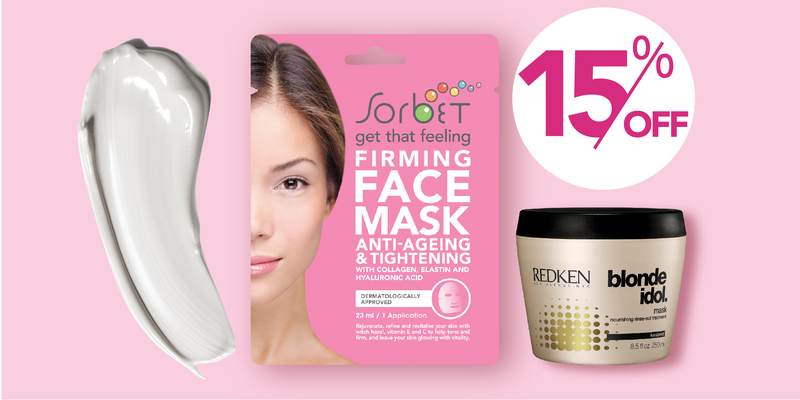 Get the full masking treatment with our 15% OFF of all Hair Masks & Sorbet Face Masks until 31 October 2017. This offer is available only at Sorbet Drybars. This offer cannot be redeemed with any other offer, vouchers or discounts currently running. Sorbet reserves the right to cancel this offer at anytime. This offer ends 31 October 2017.